Most of the recipes in Julia Child’s Mastering the Art of French Cooking are exercises in stamina, patience, and multi-tasking. You can tell Julia spent her life in the kitchen-she had no qualms about tackling a recipe with 20+ complicated steps that require precision timing and skill-and she believed that you could do it too! And Julia’s recipes are always worth it in the end, believe me. But let’s be honest-if you’re a modern woman, you’re likely using those 20 minute, one pan, five-ingredient recipes found on Pinterest to get dinner on the table. Who has time for more? There is one easy recipe that I discovered in Julia’s masterpiece cookbook-and it’s my go-to recipes for dessert when I want to introduce friends to her delicious creations without scaring them off with complicated instructions. This delicious dessert is so easy and it tastes wonderful, like a cross between a pancake, a custard and a crème brulee. 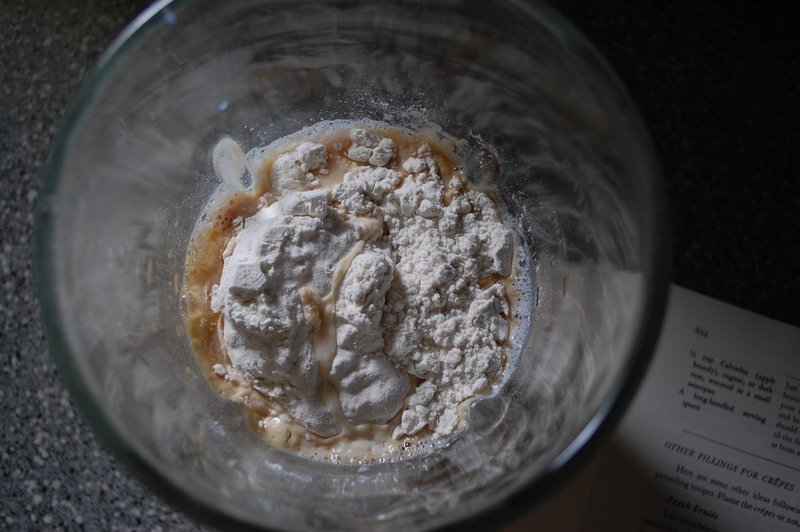 Serve it warm, topped with powdered sugar or with a dollop of ice cream on the side. 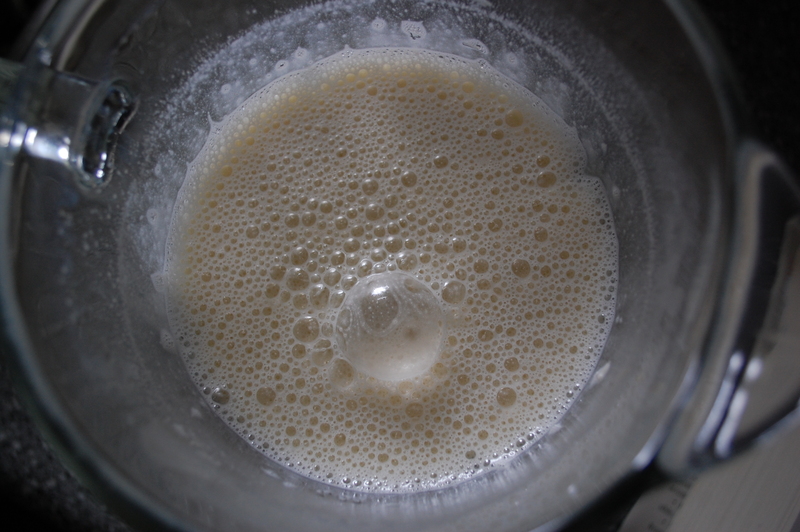 Place the milk, 1/3 cup sugar, eggs, vanilla, salt and flour into electric blender, in that order. 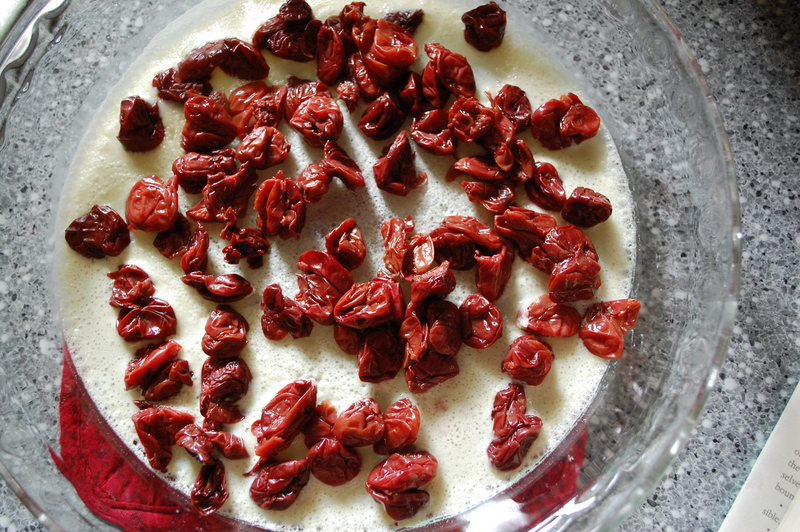 The ingredients waiting in the blender. 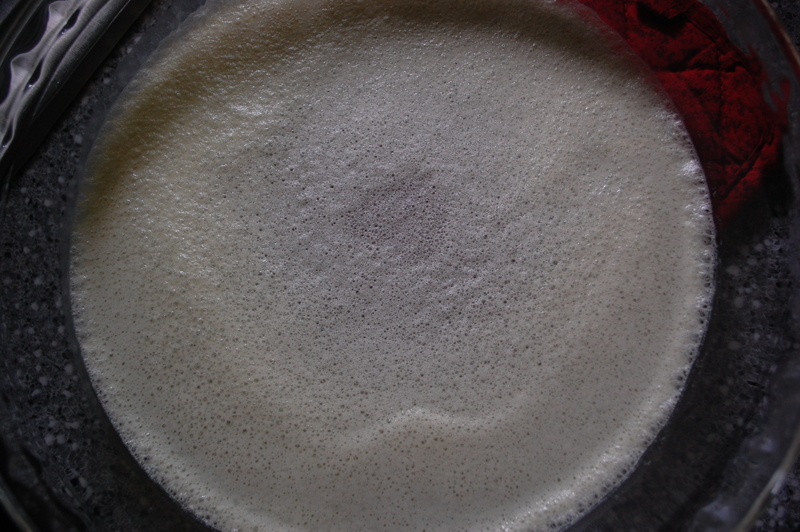 Pour thin layer of batter into the bottom of a 9 inch pie pan. Place the pan in the oven and let heat until a thin crust forms. I do this while preheating the oven and it usually takes 4-5 minutes. 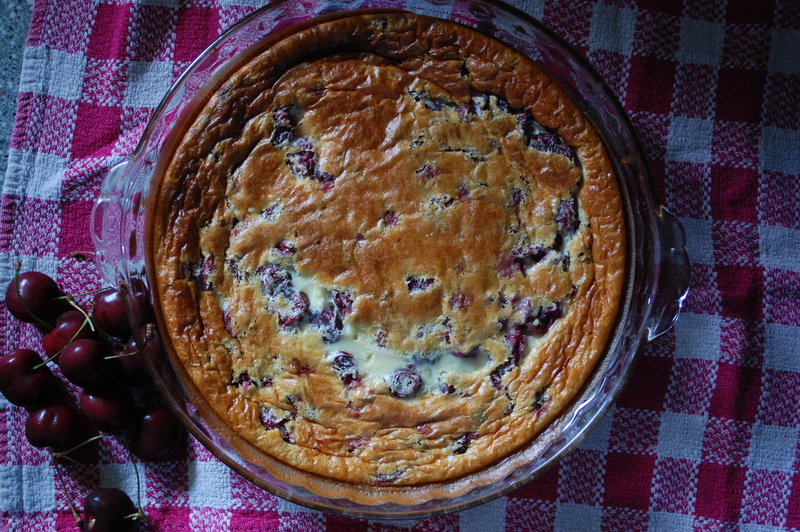 Take pie plate out and scatter cherries over the top of the crusted batter. 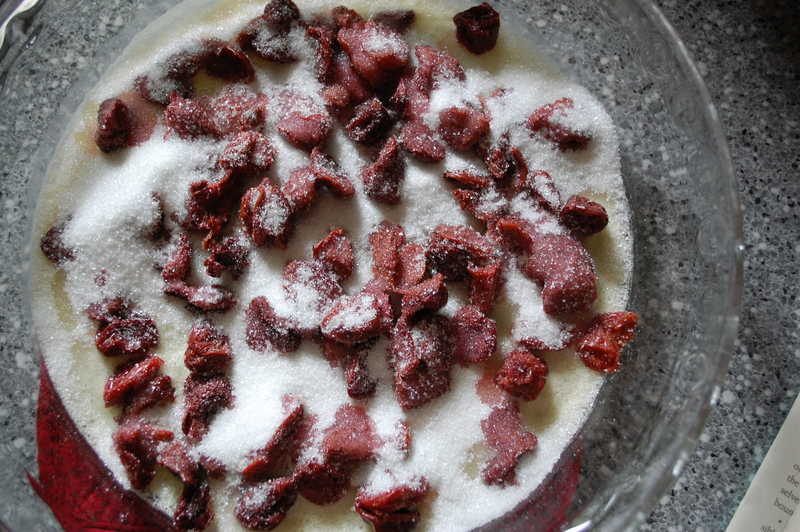 Sprinkle the other 1/3 cup sugar evenly over the cherries. Pour the rest of the batter into the pie pan. Bake for one hour or until toothpick inserted in the middle comes out clean. Beautiful and easy… and French.